For anyone wondering how to dress up for a casual day off work or an evening out, you may want to take a walk on the wild side and explore the idea of neon fashion. Day-Glo colours might be the way of the 1980s and 1990s, but fluorescent brights have returned to the catwalk this Fall 2018. 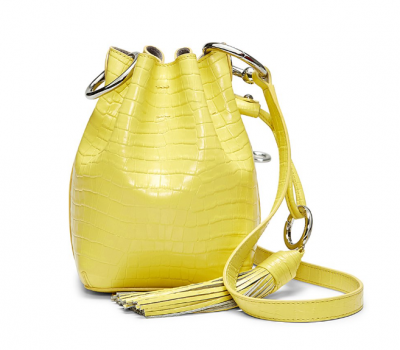 We’ve curated a few ways to rock the trend right now, as inspired by the autumn runways. For Spring 2018, the tulle skirt is back in style, and brings with it plenty of ballerina vibes. Whether you plan to dance the night away or simply dress up your casual denim or leather, the tutu just might be a new look to embrace now. Turn to the hottest catwalks, and follow these tips for rocking the trend just like a model. 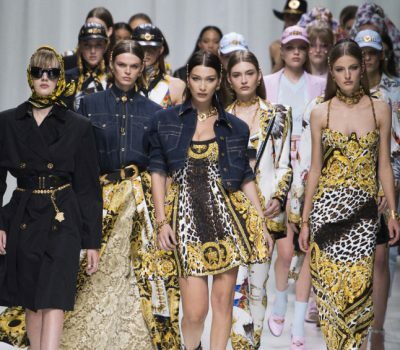 With the Spring 2018 shows at Milan Fashion Week officially drawing to a close today, the Italian runways have already pointed to the leading trends for next season. In true Milan fashion, the catwalks unveiled multicoloured hues, flowing frocks and eye-catching, swirling prints. From Dolce & Gabbana to Moschino, here are the best designer looks spotted at Milan Fashion Week. Yesterday at the 2016 Kids’ Choice Sports Awards at UCLA, the always beautiful Zendaya made a splash with her latest sartorial statement. The 19-year-old K.C. Undercover star looked stunning in a strapless golden Moschino blouse, which was adorned with an oversized bow for a finishing touch. 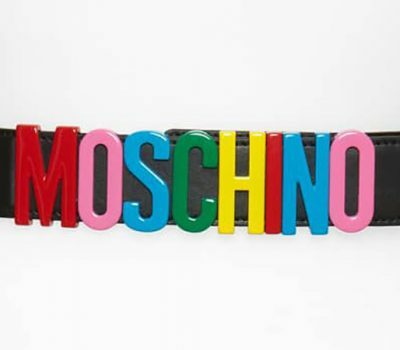 With a celebrity fan following which includes the likes of Katy Perry and Rihanna, Moschino designer Jeremy Scott is already well known for his colourful creations. In breaking news, Scott will now be represented by the talent and fashion agency WME-IMG. With Milan Fashion Week officially wrapped for yet another season, the Italian runways offered a glimpse of the intricate, stunning styles for Fall 2016. 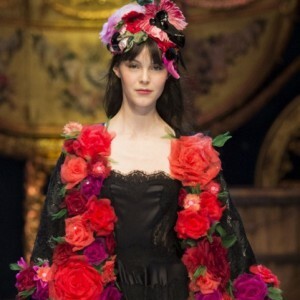 From Dolce & Gabbana to Prada, here’s a closer look at the best designs from the Milan shows. Since Moschino creative director Jeremy Scott is known for creating youthful and funky collections like his recent line inspired by Barbie, it only makes sense that his latest collaboration would be with Nintendo. Last night, Katy Perry and Lily Collins arrived in style at the Los Angeles premiere of designer Jeremy Scott’s upcoming documentary Jeremy Scott: The People’s Designer. See their looks from the evening here. Call it kitsch or call it crazy, but more than a few collections went out of the box for their fall/winter 2014/2015 catwalks. Graphic sweaters are not only cute and comfy but also super versatile. You can pair it with just about anything and still look fashionable. 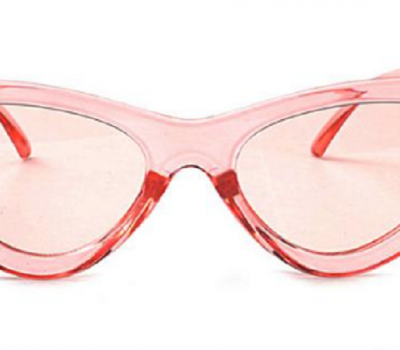 They are a big trend this fall seen worn by stylish stars like Taylor Swift, Jessica Alba and Alessandra Ambrossio. Did Mad Men Inspire This Long Glove Trend? Mad Men is back this weekend and your favourite retro-inspired styles are back onscreen, as well as on the runway and your favourite celebs. We aren’t sure if Rihanna and designers DSquared and Moschino adapted the Mad Men leather glove style to create their long gloved looks seen here, but whether it’s pure coincidence or not, we love the result. When we put out a call to our readers to know who they wanted to see featured in our Celeb Style – Get The Look For Less section, the response was overwhelming. After much deliberation, we are proud to feature the celeb of our winner: Zooey Deschanel. Our winner wanted to know how to get Zooey’s quirky style for less. We picked one of our favourite looks from Zoeey, this dramatic black and white ruffled dress from Moschino. Zooey made a statement in this bold dress on the red carpet of her movie Our Idiot Brother. At the premiere of her new comedy, Our Idiot Brother, co-starring Elizabeth Banks and Paul Rudd wowed in a Moschino black & white frock. Moschino’s runway showing went with a ‘geek chic’ approach complete with cat eye specks, school teacher bun, long gloves gloves and ankle strap heels. Which look do you prefer? Clutches are the perfect accessory to add a little holiday sparkle with sequins, jewels and bold colour.